Fair-weather soccer fans and fútbol fanatics from around the world are currently glued to their televisions, running up huge streaming-related iPad data bills or (lucky ducks) catching the action live in Brazil. From amazing "Flying Dutchman" goals and countless team selfies, small business owners have a lot to from the World Cup this year. Entrepreneurs can benefit greatly by studying the organizations, brands, teams and fans of this epic event. Let's score some goals. Maintain brand consistency: Not only has FIFA nailed this lesson by maintaining an active online and off-line presence, but individual teams and companies have been driving brand consistency through their blog posts, hashtags, social media strategies, advertising campaigns, even their swag. You can't do it all. There's no "i" in team, as they say. If you have employees, remember to be a coach to your team—not just a boss. And don't be afraid to ask for help or say no. In social media especially, it's easy to spread yourself thin and lose focus. Fostering true community engagement online is impossible if you insist on having a tepid presence on every platform. FIFA has official accounts on Facebook, Twitter, Instagram and YouTube. They aren't playing with Pinterest or LinkedIn or Vimeo or Snapchat, but they are doing right by those four active platforms. Don't just share—engage. 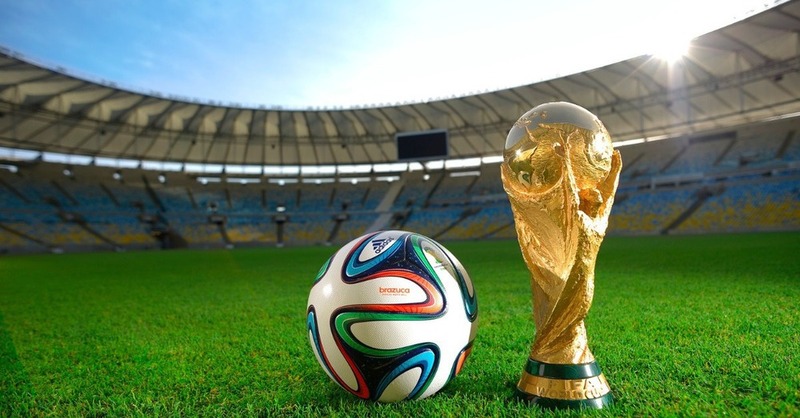 Brands have been steadily streaming tug-at-the-heartstrings content throughout the World Cup—bite-sized stories that engage fans, followers and customers. Or take a cue from the players themselves, whose cheeky videos, tweets and Instagrams have gone viral again and again—be real, get to know to your fans (err, customers) and give them a glimpse behind the scenes. Personality is magnetic across all platforms. Winning isn't everything. Sure, every country wants to win, but the World Cup is truly about fans coming together over a shared love of the game. Despite cultural challenges, regional unrest and countless other everyday obstacles that our planet faces, events like this bring the world together to share in the excitement. As a small business owner, it's important to take your competition in stride, play fair (no red cards, y'all!) and keep your heart in the game even when your pride takes a hit. Get by with a little help from your friends. That is, know your ecosystem and what other companies complement your business. In the same way FIFA leverages partnerships with Nike, you could be leveraging meaningful partnerships with your suppliers, media and more. Teamwork! And now for the important question—who are you rooting for?